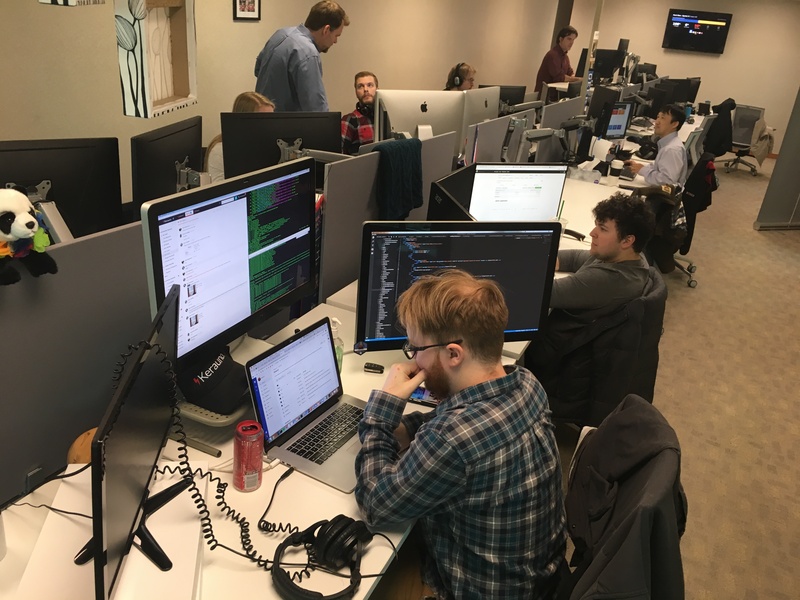 INDIANAPOLIS — Local software company Kerauno is expanding rapidly with 100 software positions to fill in the next couple of years. "I sort of have an engineering mind that is how my brain works," explains Morgan Bosshardt, a software engineer at Kerauno. Bosshardt has been recently promoted at Kerauno, a communications workflow software company based in Indianapolis. Her job in tech comes as a second career path. "It took me several years in the veterinary field to realize that I needed a change," says Bosshardt. With a veterinary degree, Bosshardt took a software boot camp that helped her get an internship at Kerauno. That internship turned into a job. The Indy-based company is hiring and Bosshardt says it is a great opportunity for those who want a challenge. "I have been here two years and I have been in our code base for that long, and I still feel like I am finding new things and new tricks and whatever to get things done well," says Bosshardt. Company leaders say there is tremendous growth potential for their employees. "Typically we start with, for out-of-an-academy, probably around $65,000 to $70,000 and so you can come in at that and then scale up from there," says Josh Ross, the CEO of Kerauno. "We are all about helping people cultivate themselves and build themselves into the career and really the long term objectives that they have for themselves." Ross started the company just one year ago and with expansion plans, he says he needs people to fill 100 positions in the next three years. "I think software is the future, Indiana has done a phenomenal job of really cultivating relationships and helping people with educational activities to grow with software," says Ross. "So trying to get a role or career and get that built up and earn good wages, that's a great place to be." The company's mission statement is to believe in people and help people, that includes their employees. "We believe we are changing the world through communications and so by this process of optimizing communications through Kerauno, the Kerauno software," says Ross. "We believe we have a leg up on competitors. We also believe that we pay exceptional wages here and really provide a good environment that cultivates the growth of the individual." Kerauno is looking for experienced individuals and a vast majority of the current openings are for various types of computer engineers as well as roles in administrative, customer care, and marketing. The majority of the jobs that are being added are tech heavy but they say they always need ancillary positions to make the business run. To learn more about available positions at Kerauno and how to apply: https://www.kerauno.io/careers .